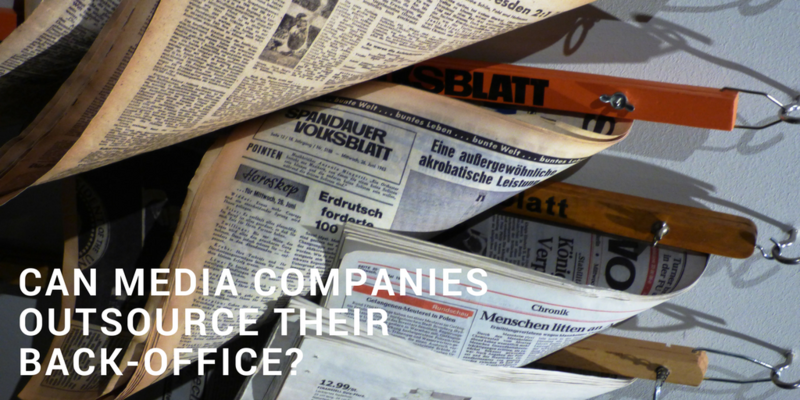 Can media companies outsource their back-office? 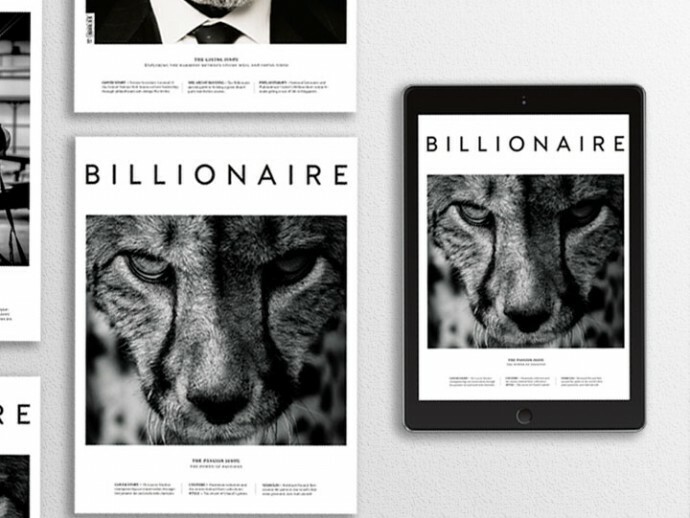 HighEnd Media is an independently owned multi-platform media group that serves the luxury lifestyle and fine watch markets in Asia, Europe and North America. They connect luxury product and service providers with new prospects and develop existing customer relationships through highly targeted print, digital and event activities. 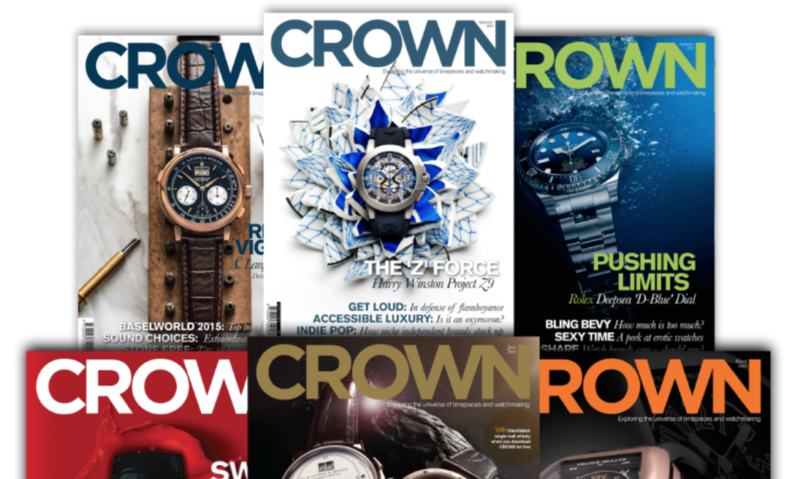 Their portfolio includes international luxury magazine Billionaire, its digital equivalent billionaire.com, and more recently – Crown, a quarterly specialist covering luxury watch brands and watchmakers. Headquartered in Singapore, and with Managing Director Andrew Nicholls at the helm, HighEnd Media is a small business with approximately 20 full-time employees in Asia, and a network of journalists, editors, suppliers, and contributors across the globe. Appointed to the role in early 2015, Andrew believes that the company’s success relies on his ability to carry out the operational part of his role seamlessly. As most small businesses do, HighEnd began operations with an in-house finance manager who juggled the various hats of accounting, HR, and payroll by using multiple offline systems that did not communicate with each other. The manual nature of reporting, response to queries, and data accuracy impeded efficient decision making. Manual processes that would not cater to the agility required by a company with ambitious growth plans. “I was looking for a single solution that integrated all of our back office requirements. I needed something more than what the SME accounting advisors were offering, but not a heavy-hitting CFO or one of the large accounting firms. The former wouldn’t give me the level of support, control, and transparency I required, and the latter was just not right for a company our size. I kept looking, till I found PikoHANA.” says Andrew. To reduce reliance on manual processes that were time consuming and prone to errors. To ensure information was available digitally across the organization for easy access, and to reduce reliance on printing and filing. To ensure consistent and real-time flow of information across systems to provide a single source of information for the company. HighEnd’s readers and advertising partners are spread across multiple territories throughout the world. Keeping track of this data and being able to leverage it effectively could only be achieved by implementing a CRM solution. 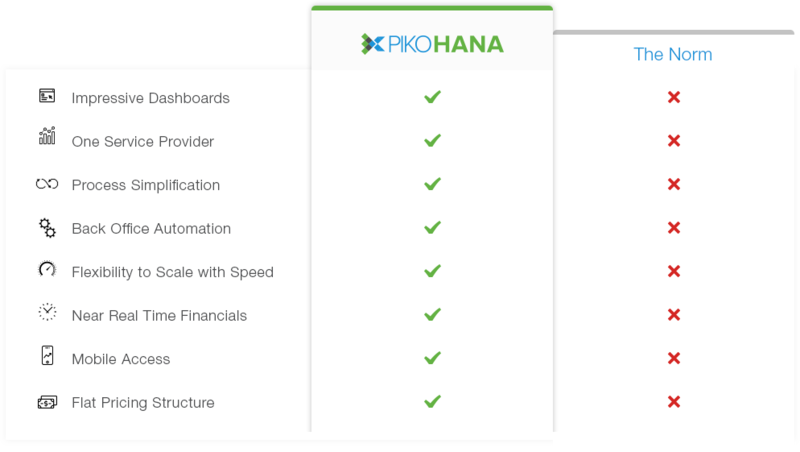 Through APIs, these systems are integrated not just with each other, but also PikoHANA’s custom dashboard Sapience. This enabled a two-way flow between systems, which meant that information in these systems would mirror accurately, as it was updated in real time. “The PikoHANA solution has transformed our back office operations. The most significant advantage on a daily basis for me is the availability of real-time information. The Sapience dashboard gives me the exact status of our accounts, sales activity, employee commitments, up to the second, at a glance”, explains Andrew. The entire PikoHANA solution including the CRM was deployed within two months. HighEnd had estimated it would take between 3-4 months, but were impressed that it took only half that time, which meant that they could start using the systems earlier than expected. The biggest threat for an organization without a central CRM system in place is the loss of vital customer relationship information that can leave the company when a salesperson leaves. With sales people in multiple countries, HighEnd now has all client data in a central location, instead of relying on scattered phone calls, emails, and conversations. 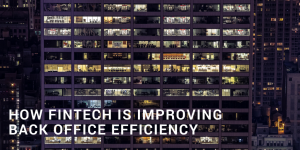 Outsourcing back office operations to PikoHANA instead of managing it in-house has helped HighEnd save on costs, savings that can be reinvested into the company’s growth. “If we had continued with our manual processes, and not partnered with PikoHANA to deploy and automate these systems, we would be spending 30% more than we are now,” comments Andrew. 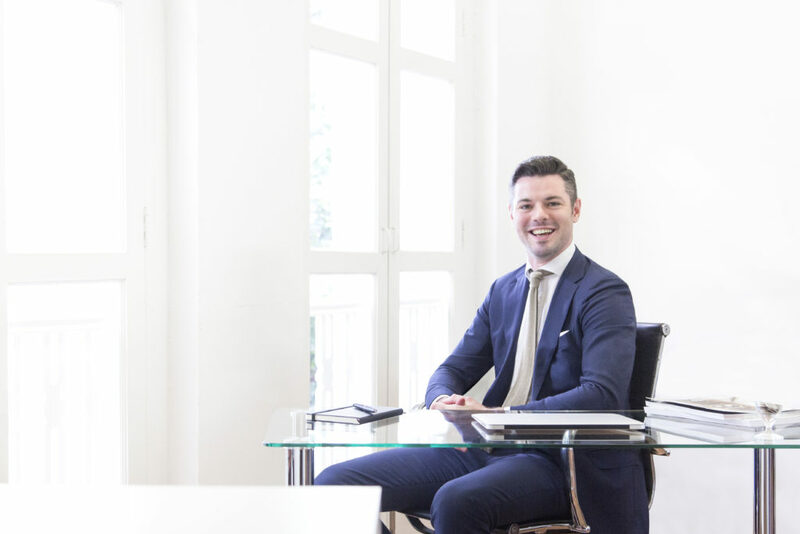 “Our clients, readers, and suppliers are based across the globe, and so we have to deal with making and receiving payments in multiple currencies.” Andrew adds, “We are now able to generate and keep track of proposals, sales orders, and invoicing in a central system. By connecting it to our online banking, we have a clear view of which invoices are outstanding so we can chase them up right away, get paid quicker, and also pay our suppliers in a timely manner.” Moreover, the PikoHANA team helped HighEnd with timely financial audits and tax filing processes, so that is yet another item is crossed off Andrew’s list. 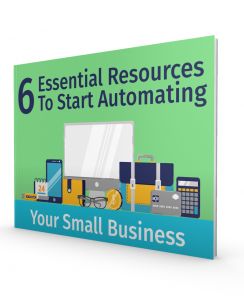 Most small businesses would say that they could deploy and run cloud software themselves. They wouldn’t be remiss in saying so. But the true value of the PikoHANA solution lies in the services they provide above and beyond the software suite and dashboard. “The PikoHANA team understood our operational needs, and what I wanted to achieve. They have always treated us as a business partner rather than a customer, and they are genuinely dedicated to helping us succeed. I am glad to have PIkoHANA alongside HighEnd,” concludes Andrew Nicholls, Managing Director, HighEnd Media. So yes, media companies can definitely outsource their back-office successfully. Tired of spending too much time on paperwork? 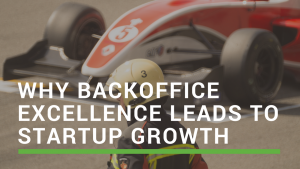 Thinking of outsourcing your back-office? Let's talk.